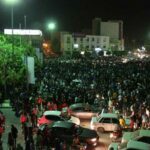 HRANA News Agency – The Police Chief in Boshehr Province has announced that 16 individuals have been arrested after people took to the streets last Tuesday to celebrate Iran’s victory against South Korea during the qualifying match for 2014 World Cup. 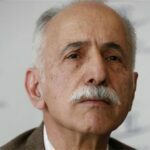 HRANA News Agency – Abdolkarim Lahiji, an Iranian attorney living in France, has been elected to serve as the president of the International Federation for Human Rights. The election was made on May 23, 2013 during FIDH’s 38th congress in Istanbul, Turkey. HRANA News Agency – As a result of a mudslide at a landfill, a group of fire-fighters and rescuers who were trying to put out a fire fell into a hole more than 98 feet deep. They are now buried under a mountain of trash which clasped after them. According to a report by Human Rights Activists News Agency (HRANA), Ramzan Amini, the deputy mayor of Shiraz, has announced that 11 individuals were buried under the trash at Barmshor Landfill. Four men have already been rescued, and efforts to rescue the others are underway. 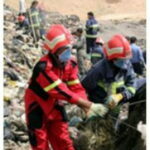 According to another report by Mahr News Agency, Ramin Talabi, the director of the fire department at the city of Shiraz, has said that because of the volume of trash piled up at the site, the rescuers have had difficulty reaching the missing victims. “Two fire-fighters, two horticultural engineers and two utility workers are still missing,” Talabi said. “The most important obstacles are the volume of trash and mud at the site.” The experts at the landfill have estimated that the victims are under more than 40 tons of trash.